Baul has already Archived and Preserved, decades ago. Babu Kishan completed what his grandparents (Nabani Das Khyapa Baul and Brajabala Dasi) had asked him to do decades ago. These Baul Archives are safe and will be published one by one when the time is right. This has been going on over the years (outsiders fundraising in the name of Baul) and now is still going on, it needs to 'STOP' because Baul is already preserved and archived. New Baul singers fundraising to preserve Baul are cheaters and are using this tradition for their own selfish purposes. If anybody is saying they are preserving Baul, think twice before you fall into donating money because BAUL has already been preserved. There is no need for an outsider to procure donations to do what does not belong to them, especially when it is complete? Babu Kishan will speak about this in time, he is not very happy about the using of his tradition by, New Baul singers who are not even from Bengal. This one and only Lineage of Vaishnava Baul originates in and around Ekachakra Birbhum Bengal. This is the One and ONLY Lineage of Baul. All Bauls Follow this Lineage, they sing their songs, they dress like them and they follow them around the world and copy and do as they do. This is the pioneering family and Lineage who brought Baul out of the village of Bengal to all of India and the World over at least 70 years ago when Nabani Das Khyapa Baul was appointed a state singer Bengal to sing before Nehru's speeches all over India. 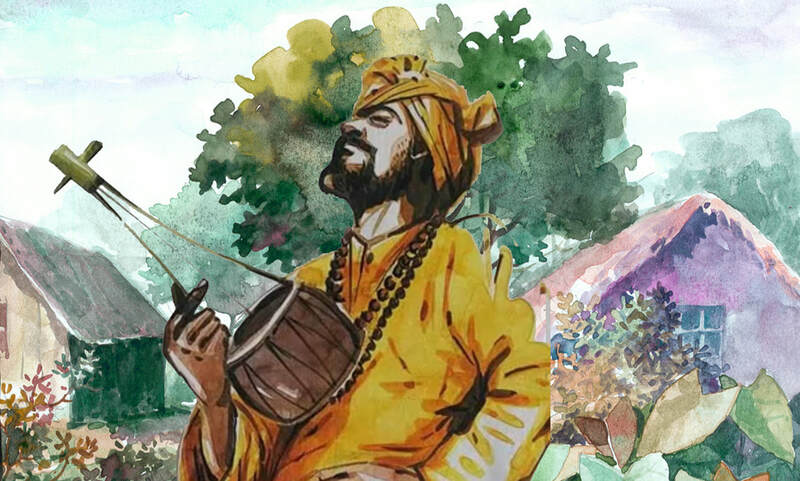 Nabani Das Khyapa Baul was a part of the Freedom Movement of India, his part was to draw people together and that is what a authentic Baul does through his song and dance. Nabani was an adept Tantric Yogi and Avadhuta there was great power in his presence and voice. Purna Das Baul on his father 'Nabani Das Khyapa Baul and Rabindranath Tagore'. 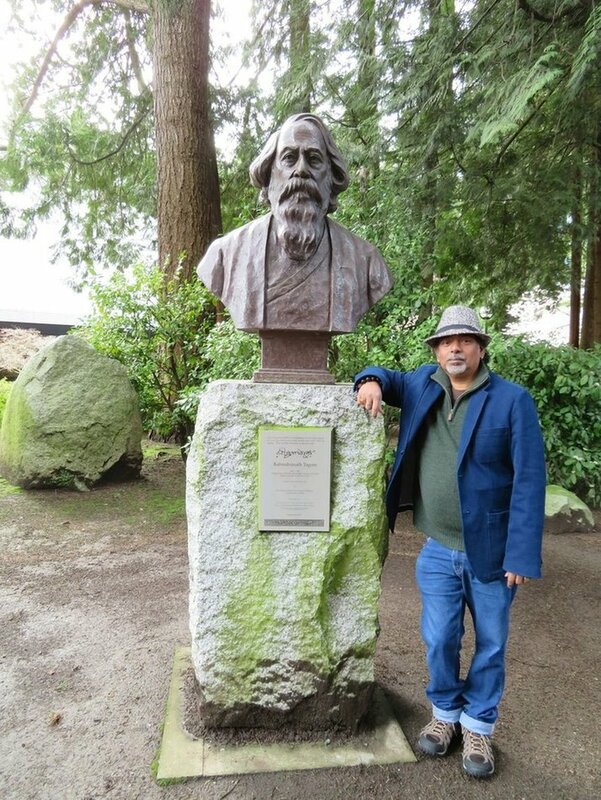 "My father would say that Tagore was very spiritually oriented. However, many of his thoughts on spiritualism were scattered. It was in order to bring these thoughts into a trajectory that Tagore required my father, Nabani Das Khyapa Baul. Tagore would look up to my father both as a friend and as a guru. My father taught him the various philosophical discourses of Baul. As such, Tagore had accepted my father as a guru who could initiate him into Baul philosophy. At times, Tagore would see my father as a friend, at other times, as a guru. They had a relationship which was based on the exchange of philosophical and spiritual ideas. That is why Tagore had a specific regard for my father, Nabani Das Khyapa Baul. My father was a constant presence at the Tagore household. Whenever Tagore would stray, even a bit, from the trajectory of his thoughts, he would call for Nabani Das Khyapa Baul. " Although Baul is ARCHIVED and Preserved we never like to give out too much information, exactly for the reason of Cultural Appropriation and the 'Riding on the Coat Tails of this Lineage' Baul is a secret esoteric tradition. Babu Kishan will do something and the followers do not just follow, they take and then say it is about them. ​People are now using Baul, making up lineages, watering down, dumbing down, and systematically destroying the "Essence of Baul" the origins in Baul. Babu Kishan is one of the main figures who Brought Baul out of India, he has always encouraged, NEW BAUL SINGERS, little did he know that they would turn around and take their names off of history or her-story and put their own, making up lineages that never existed. This is a huge issue in todays world and people outside of Baul do not have a clue. They are the 'fake it til you make it Bauls' and some are aggressive in their appropriation, using theatrical techniques. A Baul Song written by Rabindranath Tagore, and gifted to Nabani Das "Khyapa". Sung by Purna Chandra Das. The entire right of this song now belongs to the descendants of Nabani Das. This song is not available in any of Vishwabharati's documents. ​This song does not exist in "Geetabitan" or even "Rabindra Rachanabali" (The Entire Collected Works of Rabindranath Tagore). What is interesting in this song is the "bhuni" added by the poet. ​As a tradition, baul songs are always sung and picked up by others; it is is never "written". So the authors add a line in the song or poem, revealing their own identity, so that the his name can remain attached to his creation. Rabindranath followed the same tradition here and added the word "Thakur Robi bole...". I hope you will enjoy this. Nabani Das Khyappa Baul 1954 by British Photographer Richard Lannoy. Rabindranath Tagore the great Bengali Noble prize winner for literature and the writer of the Indian, Bangladeshi, and Sri Lankan national anthems, loved Nabani and Nabani is the only Baul who inspired and associated with Tagore of course he was Tagore's one and only Baul Guru. ​The only authentic Baul who inspired and influenced Tagore. They were best friends. If you are talking about Baul & Tagore and you are not talking about Nabani Das Khyapa Baul you do not know what you are talking about because Nabani was Tagore's only Baul Guru. The only stories of Tagore and Baul are about Nabani Das Khyapa Baul and Tagore (period). 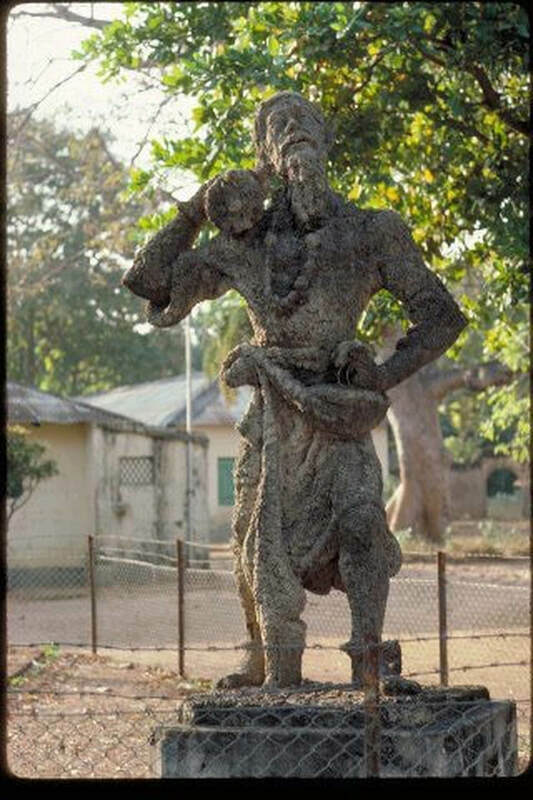 In the middle of no where you came and taking the stories but the names off the real stories replacing the names, taking the names making stories and I bet you do not even know the true stories, making new stories everyday, generation after generation this family has been preserving Baul, this is Cultural Misappropriation. Before there was internet this lineage, this family of Bauls were taking Baul to the world. There is only one lineage Baul and this is one and only family brought Baul throughout India and the world. 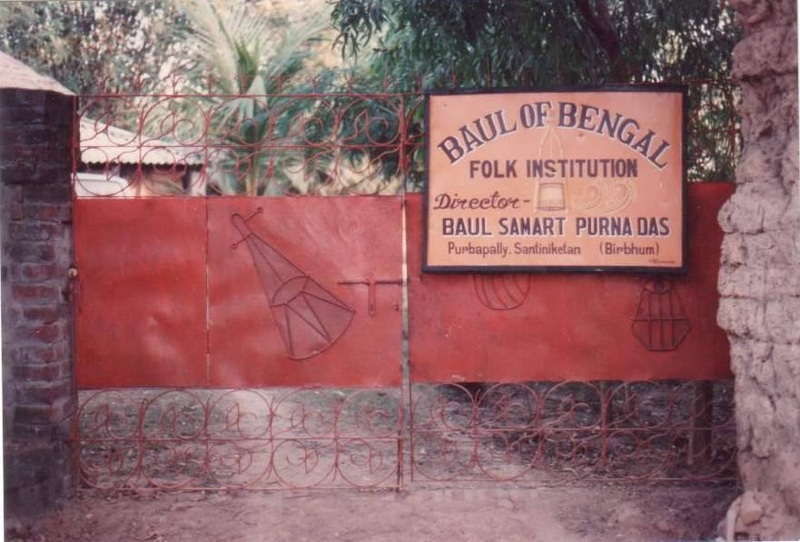 Baul is from Birbhum Bengal and Nabani Das Khyapa Baul is the only Baul who had anything to do with Tagore, he was and is the only Baul who was involved with Tagore, Why? Because Nabani was Rabindranath Tagore Baul Guru. This family can be seen on the cover of Bob Dylan's album John Westley Harding in 1967 they brought Baul outside of India, they are associated with Dylan not others. This family and only lineage fundraised along with Ravi Shankar and the Indian contingent in 1970, 71, 72 and 75 in London along with the Beatles and The Rolling Stones for the floods in Bangladesh. This family has always been honoured at Tagore Centres around the world because of Nabani's close personal association with Tagore. They have always been honoured guests in Bangladesh with the government and Prime Minister of Bangladesh. You should know Babu Kishan's mother is from Bangladesh and when she lived there, ... there were no Baul's in Bangladesh. 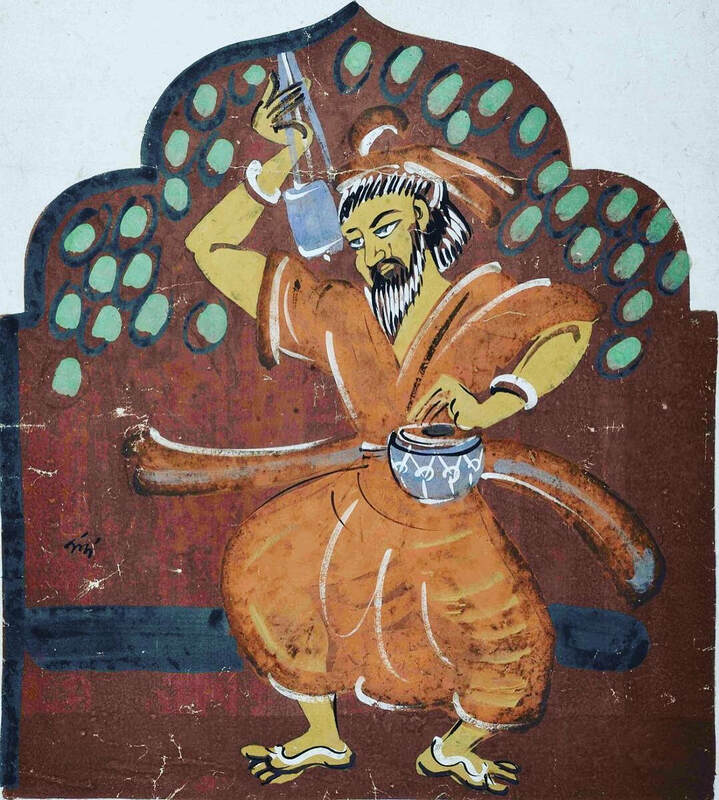 Babu Kishan was one of the first composers to put a tune to Lalon Fakir poetry before that he was a poet and there was no tune to his poetry. Baul always has a tune and a huge philosophy and sadhana's (practices). They are not just poets. Allen Ginsberg is only friends with this family and a was a great personal friend or Babu Kishan's for decades, he had nothing to do with Lalon other than putting his name Lalon on a piece of poetry. Ginsberg's Baul Guru was only Nabani Das Khyappa Baul. (period) and it was Ginsberg who brought Purna Das Paul and Laxshman Das Baul to America because he wanted his Guru Nabani Das Baul but he would not. Huge assumptions and many fake writings have been made over the years just on copy and paste and the fake stories on the internet? There are so many fake stories and wrong writings in Books and on the internet about Baul. Babu Kishan was a decades long friend of Ginsberg visiting him in New York every year for decades, Ginsbery wrote poetry about Nabani and that is all he wanted to talk about was Nabani he never ever mentioned Lalon, he never met Lalon had no clue? Lalon Fakir (note the name fakir or shah is not Baul) was a great poet he was NOT a 'Baul' of course Tagore liked his poetry but he had no association. Sri Nabani Das Khyapa Baul is the only Baul who initiated Tagore into Baul and gave him the name Ravi (Robi) Baul and Tagore gave Nabani the name "Mirror of the Sky" and "Khyapa Baul". He is the only Baul who taught and was a Professor of Baul song and dance at Vishva Bharati University, Tagore's University in Shantiniketan Birbhum India. Nabani was also, a teacher to Indira Gandhi that is why he became much admired by Nehru and sang at the opening of his speeches for the "Indian freedom Movement". Tagore gave Nabani a place and land to stay and be with him all the time. I surely hope you are NOT teaching Baul from the internet or books because most of what the internet says about Baul is wrong. This is a huge history there is no Tagore and stories about Baul without 'Nabani Das Khyapa Baul' and he is Babu Kishan's Guru but yet you are teaching about Baul? Nabani Das Khyapa Baul is the father of Purna Das Baul whose Guru is SitaRam Das Omkarnath. Nabani Das Khyapa Baul is the Grandfather & Guru to Babu Kishan aka Krishnendu Das Baul who I know you know. Nobody would know a thing about Baul without him or his family especially Babu Kishan because he spent his life traveling around the world teaching at all Universities around the world on who and what Baul is and his Grandfather was of extreme importance in his life, he raised him until he passed when Babu was 8, he saved his life because he was not to live at birth, he initiated him into Tara Ma sadhana at Tarapith and all Baul sadhana, it was Nabani and Nabani's wife Babu's Grandmother Brajabala Das who taught Babu oral Sanskrit and all the stories. Nabani gave Babu Kishan his birth name Krishnendu which is Krishna in Bengali. They are his first parents who he bonded with from birth, it was when Babu went to live with his Birth parents (the parents who gave birth to him) but left him at birth with Nabani and Brajabala. Tagore took many pictures of Nabani Das Khyapa Baul, these pictures are famous and are at the Royal British Museum in London his relationship with Tagore is well documented, this association is well documented. Tagore even had a statue made in honour of his "Baul Guru" Nabani Das Baul at Vishva Bharati University in Santiniketan created for Nabani Das Baul by the famed great friend of both Nabani and Tagore by RamKinkar Baj. This sculpture is still there today, and at the Bulpur station MF Hussain the great artist did art work of Nabani Das Baul, why because he loved him as did millions of others, including all famed poets, authors during that time. Really if you are going to teach about Baul and Tagore the only association was with Nabani Das Khyapa Baul. ​If you Love Rabindranath Tagore and Baul obviously you would respect the only connection between Baul and Tagore this lineage of Baul? The only way you know about Baul is through this lineage or a few books. The hard work this lineage did bringing Baul outside the village so you could know about Baul obviously there should be some respect especially if you are teaching Baul. It was the Indian Government and Tagore's University and society who sent this family all over the world to all Tagore Societies around the world? Tagore appointed Nabani Das Baul as a Professor of Baul music and dance at the Tagore Vishva Bharti University that Tagore created in Shantineketan. Nabani is the first and last Baul to teach at Vishva Bharti University. One of Nabani's students was Indira Gandhi, her father Jawaharlal Nehru had the greatest respect for Nabani. The Indian Independence movement was in full swing. In 1947 Nehru appointed Nabani a state singer, where Nabani along with Nehru and his contingent travelled all over India, playing for people, sharing the magic of Baul and Nehru's political messages. No one had ever heard a Baul before outside of Bengal. Nabani would sing and like the Pied Piper the people would come from far and wide. In 2005, UNESCO Declared the Baul Tradition a "Masterpiece of the Oral and Intangible Heritage of Humanity". The Mirror of the sky, reflects my soul. O Baul of the road, O Baul of the heart, What keeps you tied, to the corner of the room. 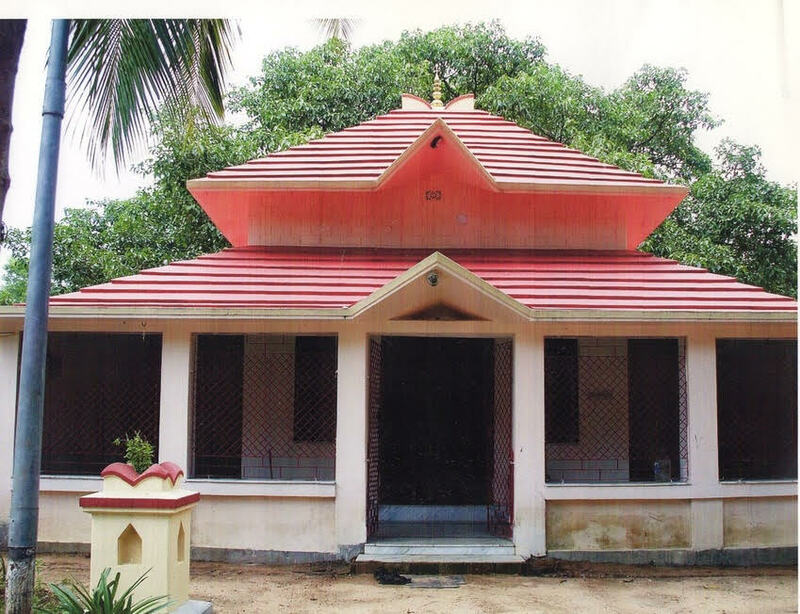 By Nabani Das KHYAPPA Baul. 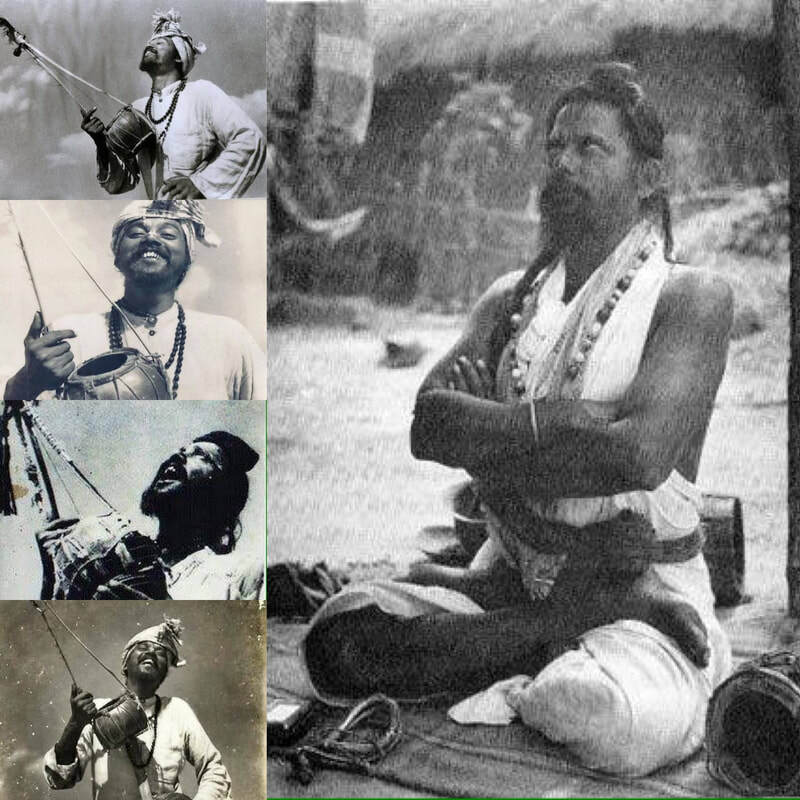 Tagore appointed Nabani Das Baul as a Professor of Baul music and dance at the Tagore Vishva Bharti University that Tagore created in Shantineketan. Nabani is the first and last Baul to teach at Vishva Bharti University. One of Nabani's students was Indira Gandhi, her father Jawaharlal Nehru had the greatest respect for Nabani. The Indian Independence movement was in full swing. Nehru appointed Nabani a state singer in 1947, where Nabani along with Nehru and his contingent travelled all over India, playing for people, sharing the magic of Baul and Nehru's political messages. Nabani's samadhi was in 1969, when KD Babukishan was only 8 years old. He thought Nabani was his father, until he learned his real father was Nabani's eldest son Purna Das Baul who had since had two other sons that were raised outside Baul tradition, in contemporary Calcutta. Most people on a path would agree that our family is not who we are. Guru is our real family if we are lucky to have one, Babu was lucky to have Nabani who left him his spark. Losing Nabani was to be the greatest loss of little KD Babukishan's life and the greatest loss to the whole Baul community. Nabani was not an ordinary Baul he was an extraordinary genius. Babukishan was by his side when he went into samadhi. 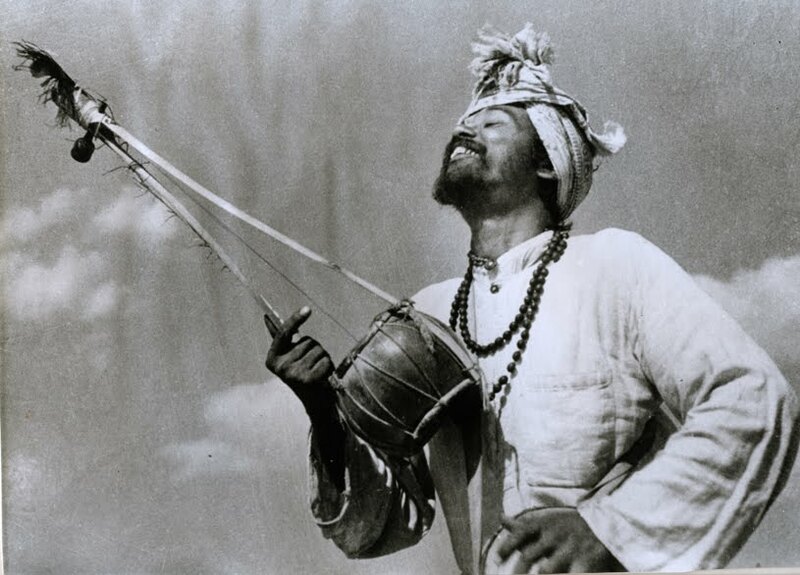 FAMOUS BAULSPurna Das Baul is the first famous Indian Vocalist to come to America. First arriving in 1967 on a tour from San Francisco to New York staying in Woodstock NY at Bob Dylan's home as guests of Sally and Albert B Grossman (Bob Dylans manager). The recorded music from that time is called 'Bauls at Big Pink'. Purna Das Baul and his brother the late Laxshman Das Baul who was a much loved Baul a Bob Marley of the Bauls appeared on the cover of Bob Dylan's Legendary album John Westly Harding, Bob Dylan was a super fan of Lakshman Das Baul. Sally Grossman has remained a loyal a very dear friend of the Bauls and Laxshman Das Baul since 1967. At 81 years of age Lashman Das Baul passed away in April 2015 ending a legendary period of Baul history. The statue below was commissioned by Rabindranath Tagore for "Ram Kinkar Baij' another famous Bengali Artist to create this stature of Nabani Das Khyapa Baul. Nabani Das Khyapa Baul was a great friend with both artists and with Rabindranath Tagore. as told by Babu Kishan. Please do not copy, this and more is in our upcoming book.